Like many yarn crafters, I’ve got roughly a thousand and one works-in-progress laying about, so I regularly find myself in need of more project bags. As I knit and crochet over the years, I realized that the best project bag is nothing more than a simple rectangle with a drawstring top. 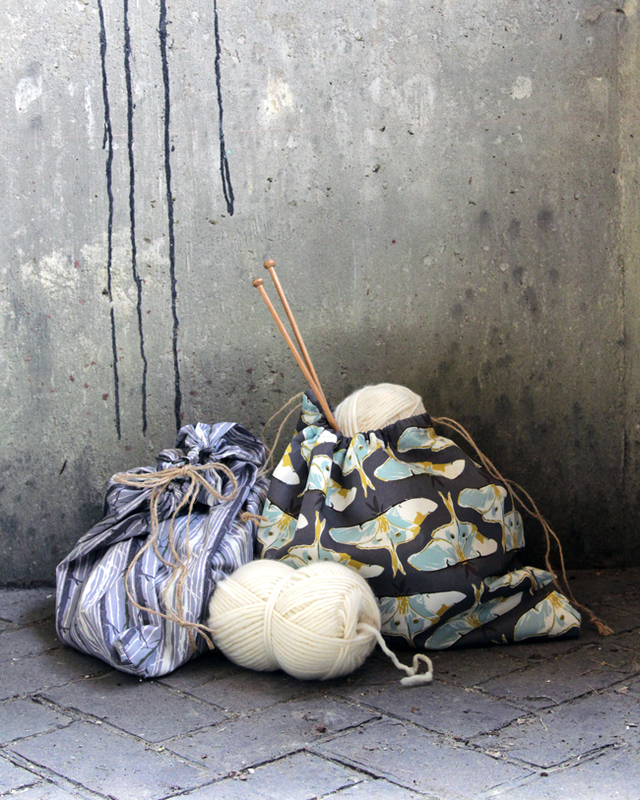 You can toss the bags in your purse to keep your skeins in order, you can toss them in a suitcase, and you can easily store them with your other WIPs without worrying about yarn running amok. English paper piecing is a method of hand quilting accomplished by sewing bits of fabric around cut out pieces of paper, and then sewing those together to form a quilt. 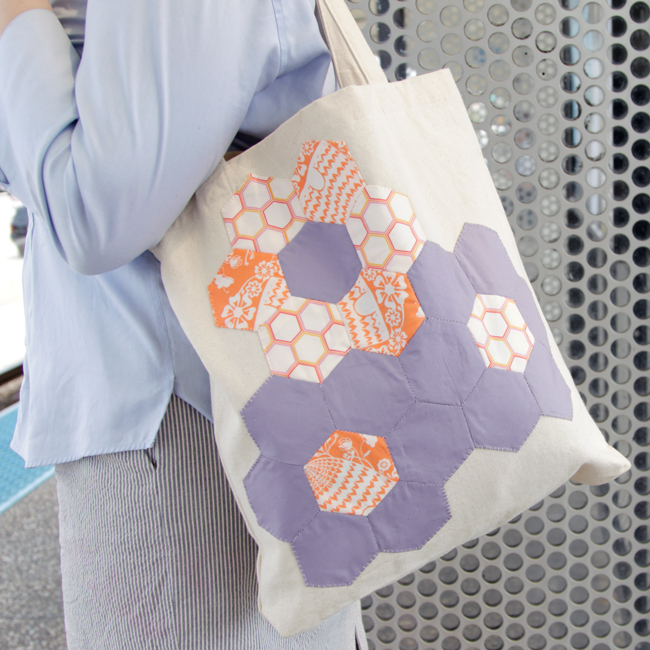 Since I wish there was a little more fabric in my crafty life, today’s tutorial is an intro to the basics of English paper piecing and how to make a flower applique for jazzing up a tote bag. 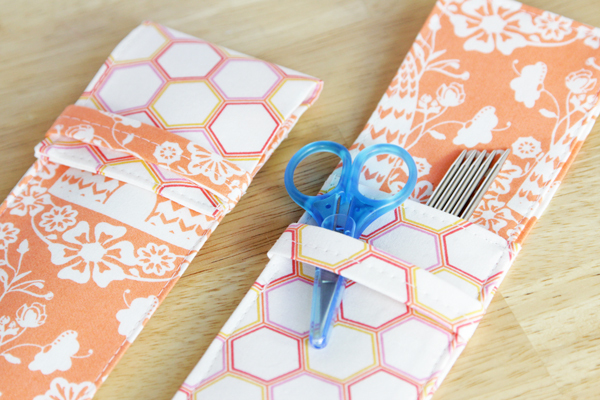 These fun little knitting needle pouches can also be used as a pencil or crochet hook case! When I took an etextiles workshop last week, I was reminded that not everyone in the world can easily thread a needle. There are many people in this world (myself included when I have a tendonitis flare-up) who can’t grasp something as small as a piece of thread or hold it steadily enough to get it through a needle. Or maybe there’s a vision issue at play. Physical limitations aside, sometimes you’re just working with crazy thread! 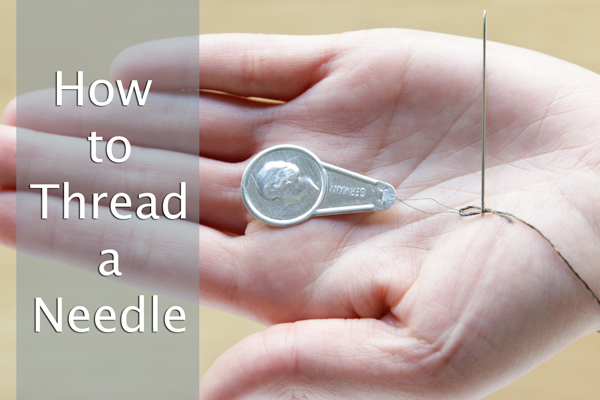 Read on for my top tip for getting your needle threaded so you can get down to DIY business! 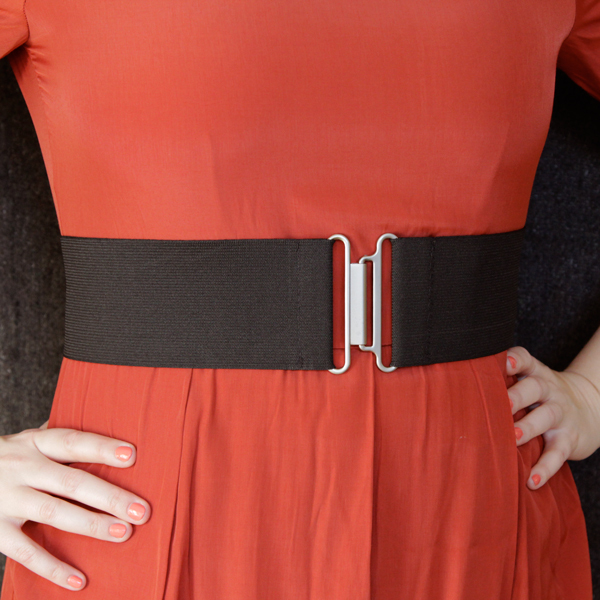 Whip up a fun, flattering belt with just a few supplies! 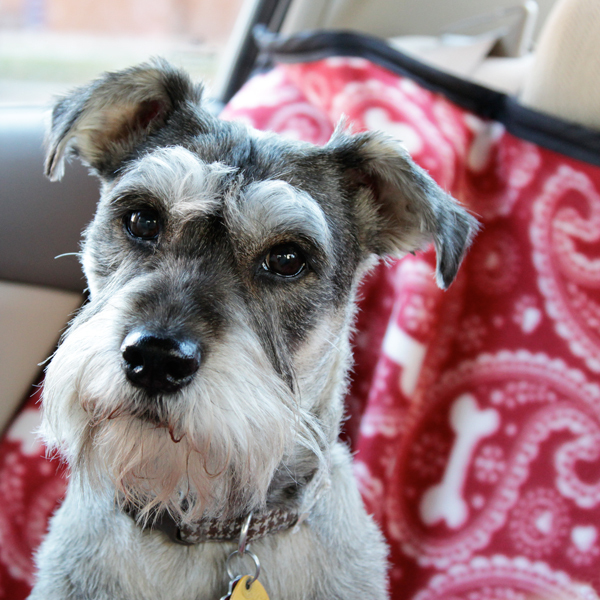 How to sew your own back seat guard to keep your car clean and your pets comfy! Learn to sew a rolled hem to convert fabric into cute scarves, pocket squares or handkerchiefs. Get schooled! 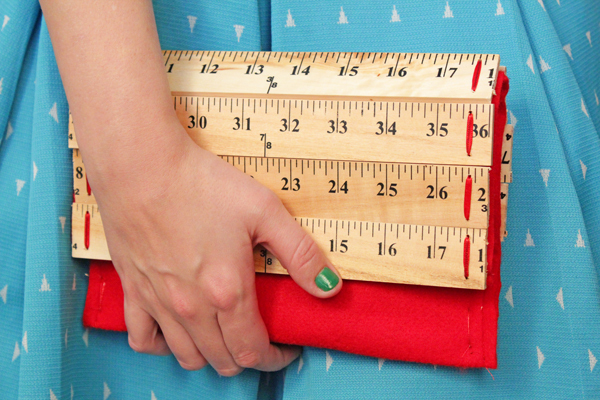 Learn how to make your own adorkable clutch purse with yardsticks & felt. 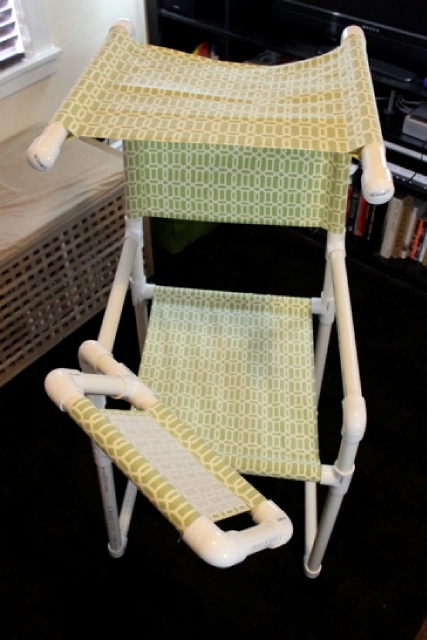 An easily customizable chair/desk combo that’s perfect for dorking out on the beach!